UW's Clean Energy Institute launched on Dec. 12, 2013 with an event attended by UW President Michael K. Young, Gov. Jay Inslee, and researchers, industry experts and policy leaders in renewable energy. A new device developed at the UW would let doctors use ultrasound to move kidney stones inside the body and help them pass by natural means. When the Cascade snowpack is gone, our water supply depends on often meager summer rainfall to get us through until fall. Civil and environmental engineers are mapping winter temperatures throughout the region as they track snow accumulation and melt. A five-year, $37.8 million grant from the Gordon and Betty Moore Foundation and the Alfred P. Sloan Foundation will support data-intensive science and discovery at UW, UC Berkeley and NYU. One component at UW will be a dedicated "data science studio" in which researchers work directly with data scientists for a period of time, then take back what they learn to their home departments. UW associate professor Rajesh Rao has been named director of the National Science Foundation's Engineering Research Center for Sensorimotor Neural Engineering based at the UW. François Baneyx, a UW professor of chemical engineering, has become the department's new chair. Baneyx recently served as director of the UW's Center for Nanotechnology and in 2013 was elected as a fellow in the American Association for the Advancement of Science. 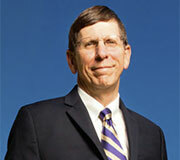 Daniel Schwartz, outgoing chair, is the director of the UW's new Clean Energy Institute. If you watch "Ender's Game," you'll see the Raven II surgical robot from the UW BioRobotics Laboratory in its Hollywood debut. Two UW graduate students operated the robot on the set during filming in New Orleans. The 2013 Engineering Lecture Series examined our national and regional infrastructure up close. From road and rail networks to water and sewer conduits to national power and natural gas grids, life is dependent upon systems. The series is now available to view online. Saturday, March 1 8:15 a.m.–4 p.m.
High school, college, graduate school scholars, faculty, administrators and professional women can register for the event that focuses on educational and professional development in engineering and science fields. Register by Feb. 18. Friday, Feb. 7 2–5 p.m.
UW leaders will share details about recent campus-wide, interdisciplinary awards to grow programs in data-intensive research and discovery. These include a $37.8 million data science award shared with two other universities and a $2.6 million NSF IGERT award to establish an interdisciplinary graduate program in data science. A faculty and student networking poster session will follow the speakers. UW civil and environmental engineer Dorothy Reed and her team are creating detailed maps to construct a comprehensive street-by-street view of Sandy's devastation in New York City. The research will help planners and engineers identify the city's vulnerabilities to prepare for the future. The research originated at the UW, where Google project co-founders Babak Parviz and Brian Otis worked together in electrical engineering. For UW computer scientist Zoran Popović, it’s how you teach math to kids. His new method is the basis for an entire sixth-grade math curriculum in trial in Seattle this year and next year in Brooklyn and Brazil.